Create and manage secure PayPal payment buttons from within the WordPress admin panel. PayPal WP Button Manager is a FREE plugin for WordPress that makes it quick and easy to create secure PayPal payment buttons. The plugin replicates the button manager experience you get from within a PayPal.com account within the WordPress admin panel and provides shortcodes for easy placement of the buttons throughout your page and post content. PayPal WP Button Manager allows you to configure an unlimited number of companies / PayPal accounts with the plugin. When you create a new button you can select which company / PayPal account you would like to use for that button. This allows you to create and manage WordPress PayPal buttons from multiple PayPal accounts within the same WordPress website, and avoids the need to continuously log in and out of different accounts. How is Our WordPress PayPal Button Plugin Different? You will find that there are a number of similar plugins available in the WordPress directory. They allow you to create buttons and provides shortcodes for WordPress, however, there are a few key differences that we feel you will appreciate. 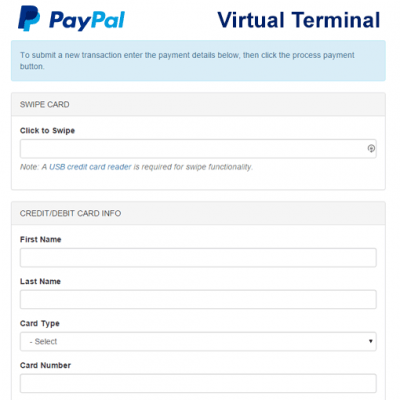 Our plugin utilizes the PayPal APIs which allows us to create buttons that are hosted within your PayPal account. This hides the product pricing details and PayPal account details from the button’s HTML code and makes it more secure. Other similar WordPress PayPal button plugins do not use the PayPal API. Instead, they simply generate the standard HTML button code and output it directly. This leaves product details and seller details available within the code, and potential fraudsters could make adjustments to the code before submitting a payment. Official PayPal Partner and Certified Developer – Andrew Angell, the owner of Angell EYE, is an official PayPal Partner, a Certified PayPal Developer, a 3-time PayPal Star Developer Award Winner, and a PayPal Ambassador. He has been developing PayPal applications for over 10 years and has a reputation of being “the PayPal guy” online. There’s nobody more qualified to help you get PayPal working well on your website. And the so called “support” is bare bones, with relatively very little technical knowledge. For a free WP paypal plugin nothing comes close to this. At first I was apprehensive to write a support message thinking the author might not be responsive since it’s a free plugin, but then I cannot find any other pluigin out there that’s at par but was in vain so I gave it a try and sent a message for a possible conflict with another plugin I was running. Only after a couple of days Angelleye had already released a new version and had resolved the conflict- wow! All the way to this WP author! Thanks again! It took ma a little time to get around things but this was more in the Paypal environment itself (I am not used to deal with Paypal as a seller) than in the plugin environment. In fact the plugin doc is very helpful. I looked at various Paypal plugins and this one looks the most efficent and most secure (API key) to me. Also, I got a problem and support replied fast and clearly. It got fixed. So support seems great. A big thank you to AngellEye for making this plugin available and free for small sites with very targetted traffic like mine!